Sisteration has begun and we are finally all together again for the first time in a year. The brothers (gnomes) are all together again, too. Finding our way home from the airport was pretty difficult because of all the construction and traffic was quite heavy. Then, instead of coming to the suburbs, we decided to take the scenic route through the city first and then loop around to finally make our way home. Of course, because we always have to have stories, we had a bit of a mishap. On our way home, we stopped for a late lunch – since I hadn’t eaten for six hours and god knows I don’t miss a meal. So we ate. Then we went to Ollie’s – Good Stuff Cheap where there is a mixture of leftover crap other people haven’t been able to sell. We found some fancy cracker type things along with other treasures. In the same little strip shopping center is Fresh Thyme which is related to Sprouts from Arizona. We were looking for something for a snack later in the evening. We found some great looking chicken salad. The container was small but the one next to it was not and so we bought the larger one, thinking we might be hungry. Lo and behold, we were hungry and we got out the fancy cracker type things and the chicken salad, along with some cherries and cheese. And the chicken salad was a great disappointment, mostly because it was potato salad. It really looked like chicken salad and we didn’t read the label, leaving us with the totally wrong thing to eat. We went on with our life, saddened but still coping. Well, as much as we can cope with this type of crisis in our lives. Today, we had to get back to the airport in order to pick up Pam and we didn’t want her to miss out on our adventures from the day before. So we went back to Panera’s for a late lunch, then to Ollie’s and on to Fresh Thyme. We came home and found all sorts of little fun things for our first afternoon together and then, hungry again, we got out the chicken salad and it was delicious. Worth two trips to the store to get it. And it was even better on the cranberry walnut bread. All in all, worth the wait. We’ve had a couple busy days traveling and will probably have to get more sleep tonight. I’m sure we will find more stories soon. There are certainly going to be opportunities. I often think of myself as a mass of insecurities, fearful and withdrawn. See yesterday’s post as an example. However, I’m intrepid in many areas of my life. Take writing as a case in point. I have over 4,400 posts on my two main blogs. I have been published in several other venues as well. I don’t carry on about how poorly I do at writing. I’m sure others might point out errors in there, but I’m pretty satisfied with the overall quality/quantity of my writing. And I edit when I find my mistakes later, whenever possible. I’m pretty sure of my mastery of my nursing skills, too. I know things about medicine and I’m willing to learn new things as more science comes to light. I don’t obsess about that. I have a degree in computer networking, too, and don’t much stress over technical problems. I poke around until I find the answer – again, see yesterday for an example of my willingness to explore. But give me some other areas and I whine and fret and write about and complain about and go on and on and on. Where I’m confident, I am quiet and just carry on. Where I’m insecure, I seek support or validation. Maybe I’m not horrible at this or that. Maybe everyone else has the same problem with the issue. Maybe I’m normal. I think we all want to be either normal or better than average. Most people think they are better than average drivers. I have no idea how that math works, but 75% of people cannot be the top half. But that’s where we want to be. On days where I’m not able to meet or exceed my own expectations, I’m defeated. Yesterday was that day. On days where I’ve given myself the option to be me with all my glorious weaknesses and splendid strengths, I’m successful. It isn’t the world who declares me less than I “should” be or want to be. It is me. I’m loud in my need for reassurance that the rest of the world fails some of the time, too. When I’m successful, well, of course I am; I’ve earned it with my badass self. We are all experimenting with our lives. Trying to find the right mix of celebrating our former weaknesses and overcoming our current ones. We need to understand ourselves and our gloriously messy lives as one road, littered with obstacles making our way interesting and full of chances to improve. How do we find answers? According to today’s picture, we look inside. I disagree. My insides aren’t smarter than my outsides. There are times when I desperately need outside information. Asking others for input is not only possible, it is at times the only way to get to the answer. We do not and cannot have all the answers ourselves. Once you consult your outside world via person to person interaction or via the internet and doing some sort of information search, you have to weigh the answers you find and at that point, it is good to look inside and see if the answers now at your disposal really meet your needs or bring you closer to your stated goals. There are many outside sources you can access and all of them might have a different answer for you. What you read in one book is often the polar opposite of some other author’s idea of the best answer ever. This is because life is not black and white. There is no perfect answer. There is no one size fits all. There are innumerable shades of gray to choose from. And the toughest part is what is the right answer for today may not be the right answer next year or even next week. We live in flux and our daily lives are full of chaos and uncertainty. The answers are just as fluid as the problems they propose to solve. Listen to others. Take from them the lessons they have to offer. You do not have the time to make all the mistakes and learn all the various ways to be in error. Let others offer you their insight into what the hell went wrong because something is always going wrong. And then, after gathering data, choose. Something. Act. You can get so lost in the acquisition of data points that you become paralyzed and that is just as bad as making no choice at all. Gather a reasonable amount of information. Assess the situation as it now stands. Try an answer and if it works – great. If it doesn’t, you still have time to try another course. You don’t have to go it alone. Seek and ye shall find. It’s not just a Google thing. What really matters? There are many ways to answer this question. There are big things, taking care of yourself and your family in all the multitudinous ways complex society demands. There are little things, finding the smiles in each day. We are pretty good about the former and stress ourselves out unbelievably in order to be successful in the macro areas of our life. You don’t have to be perfect in your execution of tasks and giving yourself permission to be a “3-oh and go” type person is liberating. The average people of the world run the place. You don’t have to be superhuman. You can’t have it all. Let go of perfection and strive for good enough. Say that to yourself. Good enough. The power in that phrase is enough to make your life so much less stressful. It will never be perfect. But good enough? Yeah, we can do that. And we can do that often. This is bliss. But life is made up of so much more than the big things. Having a decent job and nice house, car, clothes, etc. is wonderful. Having peace of mind is even more advantageous. There is no magic bullet for this, but a simple way to have a better life is to deem your life better. While sitting at the damn red light you hate stopping for – did you instead change the song to one of your favorites? Instead of finding fault in all the faulty parts of the day, look for the ray of sunshine. Even when it rains, that single ray can produce a rainbow and enchant – well, it enchants three year olds and it could enchant you if you let it. The delicious first bite of really good ice cream can be savored and appreciated, although not if you are too busy posting a picture of your ice cream to Facebook. You have to notice your moments and live them, not photograph them or post them to social media for whatever purpose you think it serves. Please note, I’m going on vacation and will be posting pictures to Facebook. 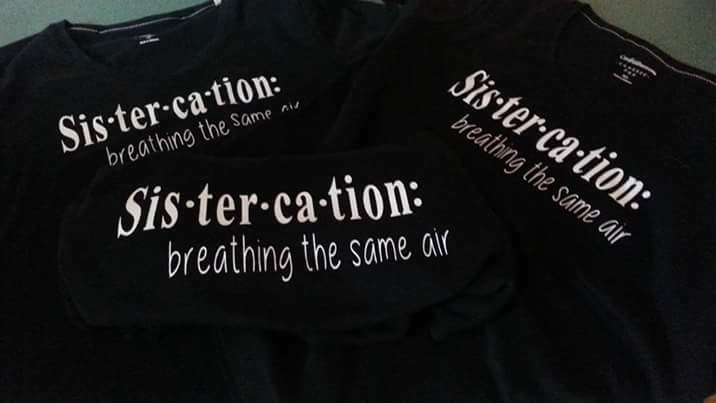 Hopefully, I will also appreciate the moment as it happens loving the yearly visit with my adored sisters and grateful for the ability to get together. Happier still that we all want to. It isn’t the big things that bring the most joy. The big things are rare. I’m older than dirt and have bought four houses, each a big deal, but that’s one a decade of my adult life. If that’s all there was, I would have a very sad life indeed. But I can’t tell you how many sunrises or sunsets I’ve seen, how many roses I’ve smelled, how often the wonder of daily life has made me smile. It is, really, the little things that matter because there are so many opportunities to find them. Don’t miss out by focusing only on the large. Light a scented candle, look at old pictures and remind yourself how those small moments mattered, and then go find some more. It is so tempting to stay in the land of the familiar. We know stuff about this place. We have figured out the way to be and how to get the most out of the here and now. There is comfort here. But out there … there are unknowns. Scary things. Things we know nothing about. There are lands and people and ideas out there we have never been exposed to. There are so many possibilities for disaster. And how will we cope with that? It is so much safer here. But out there … lies all the new stuff. We might find out we are very adept at that new thing, but only if we try it. Perhaps it will be just as suckass as we imagined it to be, but maybe not. What if you find out you love coffee ice cream? What if you find out you really can draw? What if you find out your limiting shell of existence in the here and now was made for expansion. We urge our children to try … whatever it is we want them try – anything from broccoli to tap dance. We believe our children should experience many new things so they can have an idea of all the possibilities out there. But when was the last time you tried something new? Maybe you will like curry. Maybe you will find out you can keep a journal. Maybe you will meet a stranger who turns into a friend. It doesn’t have to be big, Earth shattering adventures. Life is really all about the small pleasure. You don’t have to climb Mount Kilimanjaro, you don’t have to take up sky diving, you don’t have to do anything. But how fun would it be to try? Maybe not anything too extreme, but something outside your current rut. Take a different route to a usual place and see what’s different on that path. Try something new on the menu from your favorite restaurant. Small steps. And when you find you survive these small steps outside your comfort zone, you might choose to step even farther afield. Your life will expand … if you let it. Choose adventure, even in the small things. Then you might be brave enough to try a larger adventure. Wouldn’t that be cool? Some of the best things I have ever done came when I opted for different. One of my fondest memories is slogging through gutter rivers with my sons as the rains poured down on us. The water was cool on hot summer days. There were small boys rushing to examine water go down the drain and marching boys splashing luxuriously in a singular moment of laughter in the rain. Much talk has been made about laughing in the sunshine, but laughter in the rain has its own special sound. While nursing is a rather common profession, especially for women and even more so for my generation, I opted to always stretch farther. First I opted for special training for critical care and then I moved to surgery. I helped people during their most trying days. Many said they couldn’t do what I did, but since I could, I did. Hopefully, my patients were aware of how much I cared. I’ve taken up weightlifting which is getting more common for women but not nearly common enough for people of my generation and especially old women. It has been incredible. It’s not always easy. Hell, it’s never easy. But it is awesome. Being a CrossFitter has changed my life in so many ways. I’m stronger and more confident. I have muscles and calluses on my hands. These are not normal for women my age. Another old woman told me I should knit. I do. I just do this other stuff as well. CrossFitters are not really known for their flexibility. We mostly pursue the whole strength/endurance part of the fitness goal and leave a bit of mobilization for after we hurt ourselves. I’ve taken up yoga, against the norm for CrossFitters. It has left me much more relaxed and able to sleep better. It has also improved my lifting. Please note, I don’t power yoga. I power lift and that’s enough power for one old fart. But I do yin, restorative, hatha, and gentle yoga as found on You Tube. I also take two yin classes a week, led by a wonderful instructor. Moments of “different” are where the good stuff happens. We were all born individuals. We must live in society and sacrifice some of the individuality (such as stopping at red lights, something no one ever wants to do). There remains many different places in each of our lives to make us each uniquely ourselves. Go for that. Be different. Be you.